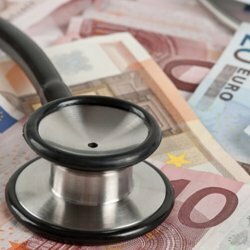 Hospital Groups have spent almost €10 million on agency consultants and NCHDs in the first eight weeks of 2019, according to statistics released to the Medical Independent by the HSE. The figures show an overall spend of €9,953,337 on agency doctors across the seven Hospital Groups, with 126,820 hours worked by these doctors. On average, this represents 406.47 whole-time equivalent (WTE) doctors per week. The largest expenditure was at the seven-site Dublin Midlands Hospital Group (DMHG) (€2,465,930). Expenditure at the DMHG equated to 31,571 hours and an average of 101.19 WTEs per week. The University of Limerick (UL) Hospitals Group was the next highest spender, incurring €1,886,530. This concerned 22,934 hours and an average of 73.51 WTEs per week. Third in the list of spenders on agency doctors was Saolta University Health Care Group, at €1,857,587. This related to 22,265 hours and an average of 71.36 WTEs per week. Expenditure at the South/South West Hospital Group was €1,545,073. This was for 20,942 hours of work and represented an average of 67.12 WTEs per week. Ireland East Hospital Group spent €1,162,853, which concerned 15,593 hours and an average of 49.98 WTEs per week. At RCSI Hospitals Group, the spend was €966,256 for 12,481 hours of work and equating to 40.01 WTEs on average weekly. The Children’s Hospital Group spent €69,104 on agency doctors, representing 1,030 hours and 3.30 WTEs on average per week. According to the HSE, the data “does not include locum or temporary staff employed on HSE contracts at local level” or agency consultants and NCHDs in Community Healthcare Organisation areas. The expenditure figures are inclusive of VAT. “Agency NCHDs are paid at higher rates than those on HSE contracts,” said a HSE spokesperson. “Agency consultants are paid similar rates, if not slightly less, than those on HSE contracts. “However, in a large percentage of cases, the agency doctors are engaged by the agencies on a ‘self-employed’ basis, which means that there are no payroll costs charged to the HSE. Payroll costs for consultants and NCHDs would amount to approximately 27.5 per cent on top of hourly pay rate.